Given that they’re right in the middle of the sophomore season of their breakout USA hit, the cast of Mr. Robot couldn’t give much away at their panel at Comic-Con tonight. 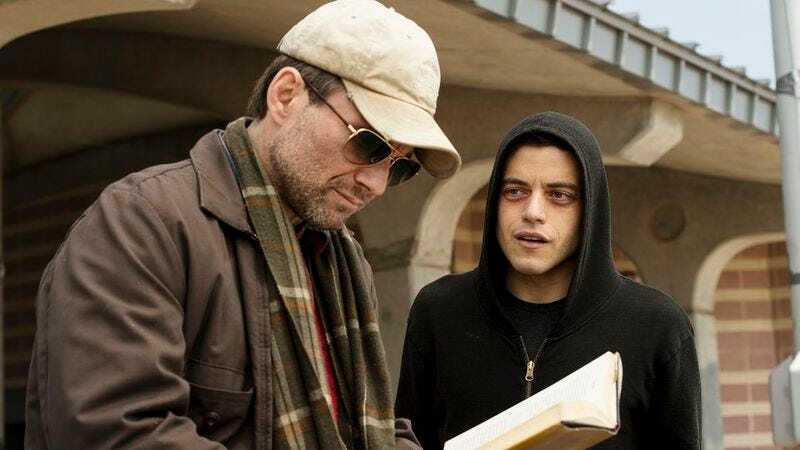 (Star Rami Malek did reveal that his character Elliot remains haunted by the death of his girlfriend Shayla in the show’s first season, a state that probably won’t spell much good for Elliot’s already fractured mental state.) But for the most part, they kept themselves to character motivations, and heaping praise on creator Sam Esmail (busy off editing the rest of season 2), and composer Mac Quayle. Oh, and Pokémon Go, of course. Anyway, please don’t hack Mr. Robot’s Pokémon Go account. It would make Oliver Stone so sad.